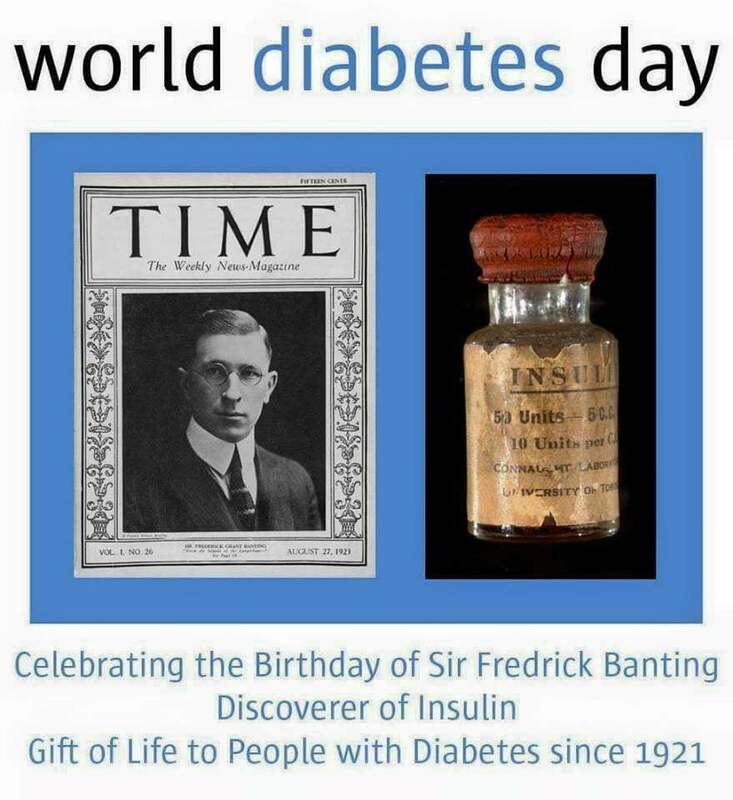 It is November 14th, and it is world diabetes; the day we celebrate the birthday of Dr Banting. Who was he, what did he do to get a celebrated status in the diabetes community? In the paragraphs below contain a paper I wrote for my science class. It was the last class I had to finish to get my long awaited bachelors degree. Unrelated side note, I’ve spend seven years in college. I could have had my PhD. Oh well. I hope you enjoy the paragraphs below on life and work of Dr. Banting. Disclaimer, I did not edit this paper, and I still got an A-. 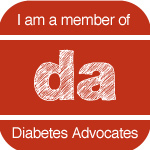 Type 1 diabetes is a lifelong, chronic disease. When this disease occurs, the immune system is thrown into an autoimmunity and mistakenly attacks the pancreases, the chief organ for controlling blood glucose (blood sugar) levels. 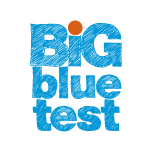 In the case of determining the if the patient has type 1, or type 2 diabetes, a blood test is done. People with type 1 diabetes will have antibody markers including GAD 65, and a lack of c-peptide, a protein marker that corresponds to the amount of insulin production (Mayo Clinic). When the pancreas no longer secretes insulin, the body has a buildup of glucose, which results in death unless daily insulin therapy is introduced. This daily insulin therapy was conceived by a young researcher in Toronto in the early 1920’s. His name was Dr. Fredrick Banting. His concept and treatment was hailed as a major medical advancement and he received a Nobel Prize in medicine (Nobel Prize). Frederick Banting was co-discoverer of insulin, Nobel laureate, medical scientist, and painter. He was born 14 November 1891in Alliston, Ontario and died 21 February 1941 near Musgrave Harbour, Newfoundland from the injuries in a plane accident. Banting is best known as one of the discoverers of insulin. In the years after the discovery of insulin, he was appointed Canada’s first professor of medical research at the University of Toronto. Upon completing his residency at the Sick Children’s Hospital in Toronto he hospital failed to get an appointment there; he set up practice in London, Ontario. Unfortunately, during his first month of practice, he only saw one patient. He needed a paying job, so he took a position as an assistant professor of physiology at the University of Western Ontario. In an article published in nineteen-twenty, Moses Barron described the experiment that he tied pancreas duct closed. By tying the pancreas duct shut, some of the cells of the pancreas deteriorated. Those that secreted trypsin, which breaks down insulin, died first and left the islets of Langerhans intact. Banting realized that this procedure, he could extract insulin from the islets of Langerhans. Dr. Banting was greatly influenced by this and furthered his thinking and research in this area. Dr. Banting wanted to validate his theory that tying off pancreatic ducts to stop the flow of nourishment to the pancreas. This, in turn, would allow him to harvest the insulin. So, in early 1921, Dr. Banting took the theory to Professor John Macleod at the University of Toronto. Dr. Macleod considered a leading figure in the study of diabetes in Canada. He didn’t give much credence to Dr. Banting’s ideas. However, Banting still convinces him that his theory was worth valid enough for a controlled experiment. Macleod gave Banting a laboratory with a minimum of equipment and ten dogs. Macleod appointed a medical student by the name of Charles Best to assist Banting. They started the experiment in the summer of 1921. In the early observations, Banting and Best began their experiments by removing the pancreas from a dog with the following recordings. The dog’s blood glucose rose, they became thirsty (a symptom of diabetes known as diabetic ketoacidosis), as a result, it became weaker by the day, and then the dog has diabetes. The extract was injected into the dog with its pancreas removed. Dr. Banting hypothesis was confirmed. The dog’s blood glucose level dropped. Then the dog grew healthier and stronger. By giving the dog with a removed pancreas daily insulin therapy, they keep the dog alive and showed no signs of diabetes. They raced to show Macleod the hypothesis was confirmed. Macleod was impressed, but being a diligent scientist, he wanted more tests to prove that their pancreatic extract really worked. Dr. Banting quickly realized that they required a larger supply of organs. The dogs simply could not provide enough. On November 16, 1921, Dr. Banting theorized the idea of obtaining insulin from the fetal pancreas. He got these fresh cow pancreases from a local slaughterhouse. Through the test, he found the extracts to be just as potent as those extracted from the dog pancreas. At the counsel of Macleod, they added a third person. A biochemist named Dr. James Bertram Collip, a biochemist on sabbatical from the University of Alberta, joined the team. He was given the task of trying to purify the insulin so that it would be clean enough for testing on humans. During the intensified testing, the team also realized that the process of shrinking the pancreases had been unnecessary. Using whole fresh pancreases from adult animals worked just as well. In the early days of 1922 the pair of young researchers, Fredrick Banting and Charles Best, thought that their treatment was safe enough to use on humans. Leonard Thompson was a fourteen-year-old boy on the cusp of death. Stricken with diabetes mellites, the boy was injected with a hormone Macleod dubbed insulin. The word of the results spread like wildfire in the medical community. Dr. Banting and Dr. Macleod were given the Nobel Prize in medicine. Dr. Banting thought it should have been giving to him and Best; so, in keeping with his character, he gave half the money he received from the Nobel Prize to Best. Macleod shared his half of the money with Collip, a fine gesture. In 1923, Banting, Best, and Collop decided to sell the patent rights for insulin for three dollars. On May 30th, Pharmaceutical Company Eli Lilly, of Indianapolis and the University of Toronto brokered the deal for the mass production of insulin. Banting, Best, and Collip knew that millions would be saved by this drug, and Eli Lilly was just the company to purify it and put it into mass production. It was unheard of and still is, for a scientist to give up his patient (Idelbrook). But Dr. Banting, a onetime ministry student, let his heartfelt ethics and the faith in his unseen God, dictate his action. Since then, Millions have been saved. Undoubtingly, the discovery of insulin by Dr. Banting, along with the help of Best, was the most significate medical breakthrough of the twentieth century if you were to ask the millions that it saved from certain death. Dr. Banting did not have the best of grades in college; did not even get offered residency, but he kept working. Being a curious man, he read about stuff he did not understand. 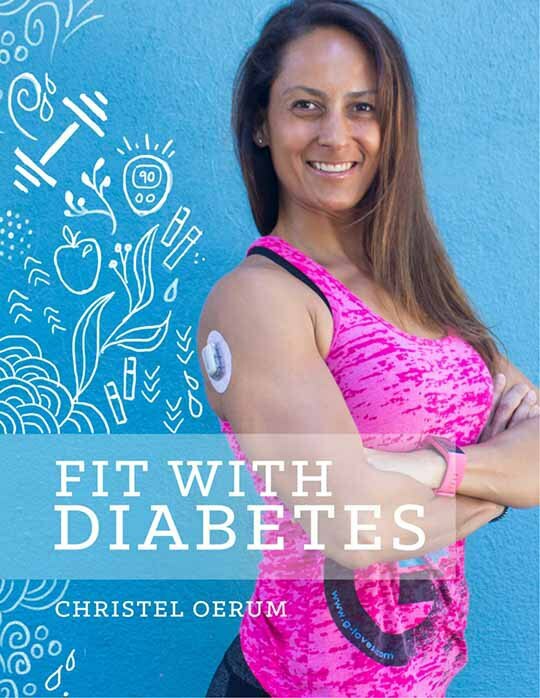 When he read about diabetes and the role of the pancreas he was sparked with determination. He did what all scientist do, he drew a hypnosis, did the research, and documented the conclusion. Dr. Banting may have saved more people than Hitler killed in the twentieth century. Which is in large part that we celebrate world diabetes day on November 14th, the same day as Dr. Banting birthday.